Made out of solid beechwood, the Winsome Saddle Seat 24-Inch Counter Stool is a sturdy saddle stool that comes in a rich walnut finish. Traditional by design, the stool is ultra wide on top to accommodate almost anyone. 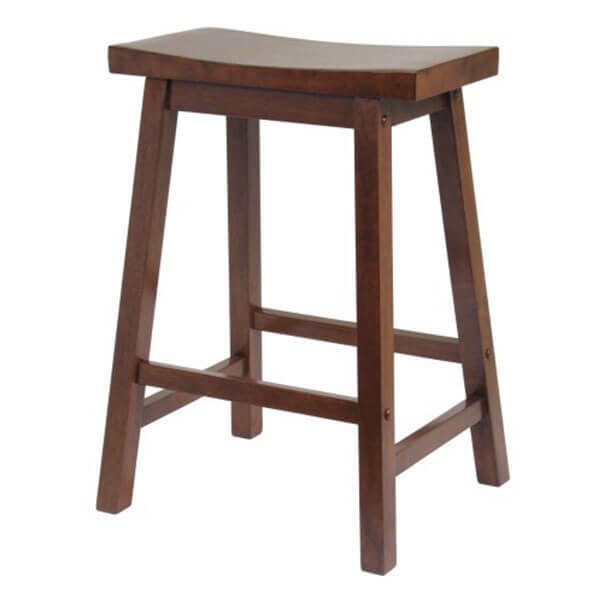 Wide, sturdy square legs support the stool. 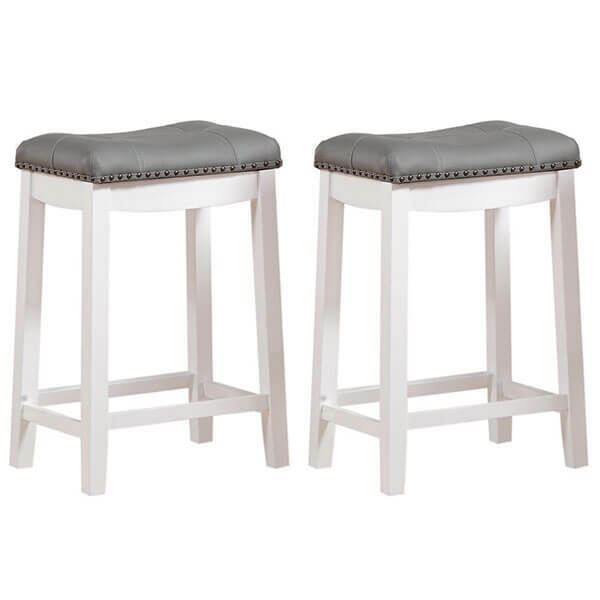 Able to add elegance to any space, the Angel Line 24-inch Cambridge Padded Saddle Stools (Set of 2) are a pair of dainty looking stools with a white finish to complement its beautiful gray seat upholster. These stools come with a plush cushion that has been given nail head trim. 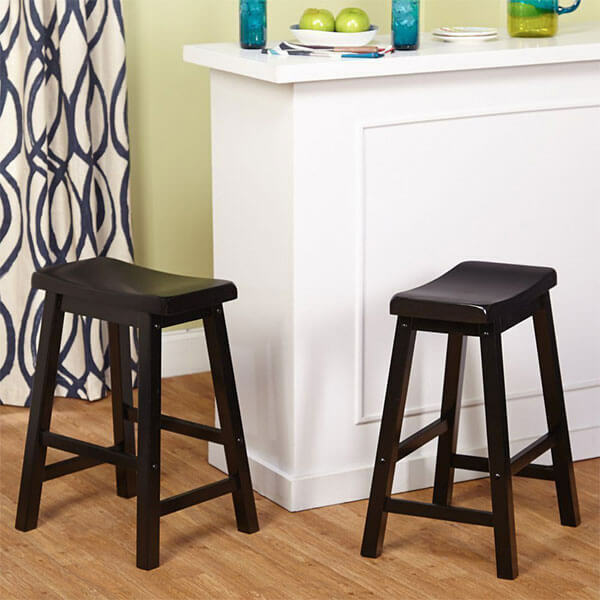 Black in color, the Target Marketing Systems Belfast Wooden Saddle Stools are a stylish, neutral pair of saddle stools that are every bit as comfortable as they are cute. 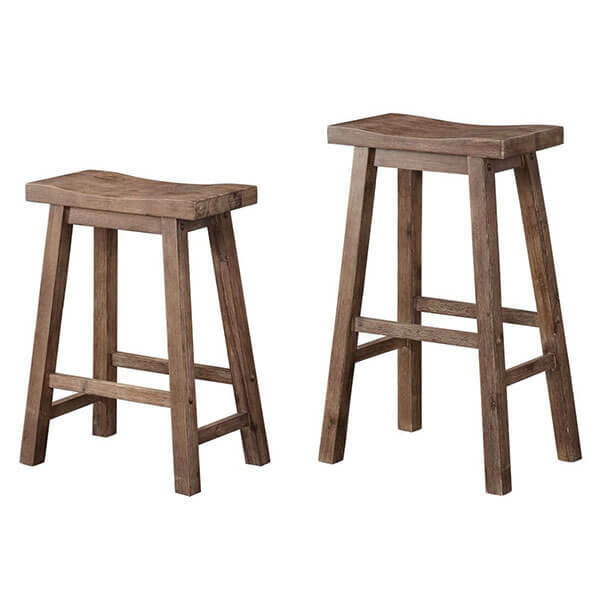 These stools measure a mere 17 pounds apiece and are made of top quality, durable rubber wood. With their rusting, wire brush finish that gives the stools a distressed look, the Boraam Sonoma Counter Height Saddle Stool is a traditional-looking stool that is perfect for your rustic chic home. The stool comes ready to assemble and is made entirely out of hardwood to ensure a durable build. 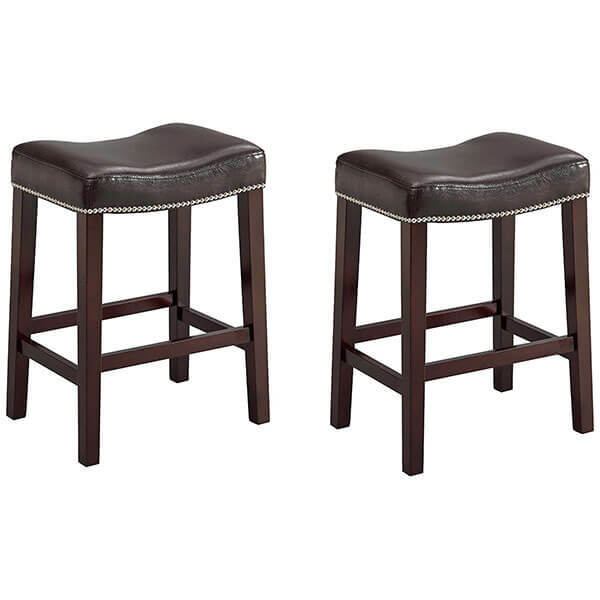 The Crown Mark Nadia Saddle Stool, Set of 2, is a pair of sophisticated stools that add class to any room they are place in. These stools come with a faux leather upholstered seat, that of which is comfortably padded and given a nail head trim. The Angel Line 29-inch Cambridge Padded Saddle Stool is an elegant stool that adds a lightness and airiness to any sitting area. 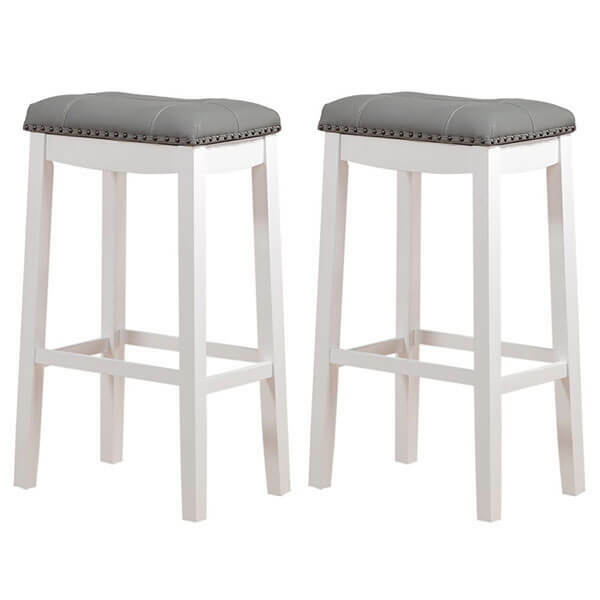 The stool features a white finish and is complete with a cushioned, gray upholstered seat. The stool sits at 29 inches in height.